All of Cleveland’s offseason moves begin and end with LeBron James. If Cleveland loses James, it creates an obvious wing need. Jeff Green and Rodney Hood are also entering free agency and they could look to add another wing capable of playing off the ball and contributing defensively. Villanova’s Mikal Bridges is a “three and D” prospect who can shoot the ball at a high clip (43 percent from three last year) and figures to log heavy minutes covering the opposing team’s best wing player. Bridges, who should be available with Cleveland’s eighth pick, would fit nicely alongside James and could help space the floor for the Cavs. With the absence of Kyrie Irving, James took over the role of initiating the offense. As he gets older, it would be wise for the Cavaliers to explore options to have him play more off the ball. If he chooses to remain in Cleveland, the team may work to utilize his strengths on the elbow and on the block. Tyreke Evans enjoyed a strong season in Memphis averaging 19 points and five assists per game. He has the type of offensive versatility that Cleveland has lacked beyond James. Despite being an intriguing free agent prospect, he won't garner as much money as some of the upper echelon free agents. Behind a balanced attack, Indiana played Cleveland as well as any of the other top teams in the Eastern Conference. The Pacers will return all of their key players and have the 23rd overall pick in the draft. At that stage of the draft, most teams target the best player on their board and care less about a specific need. However, Glenn Robinson III and Trevor Booker are free agents and Indiana could look to bring in another wing/forward. Cincinnati’s Jacob Evans is a stout defender who can also spread the floor with his shooting and passing skills. 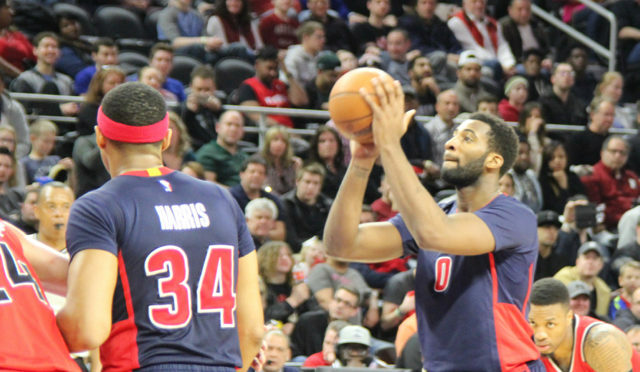 Evans seems like a perfect player as the NBA transitions to small ball lineups. Detroit is set in the frontcourt with Blake Griffin, Andre Drummond and Stanley Johnson. Jameer Nelson averaged 20 minutes a game a season ago but he will be 37 years old midway through next season. Luke Kennard is also the only true shooting guard on the roster. 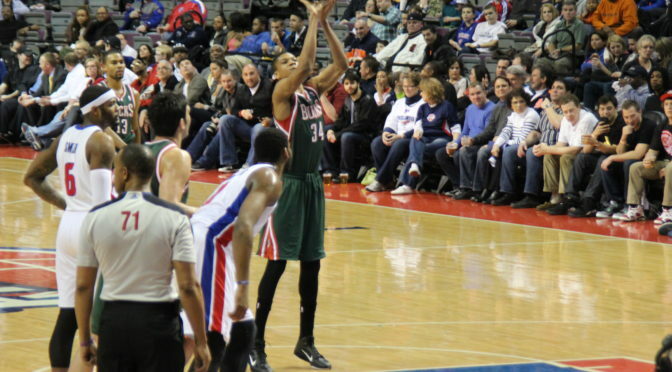 It would make sense for Detroit to look for a combo guard who can play on and off the ball. The Pistons have the 42nd pick in the second round and if they choose to take a flyer on a combo-type, Wichita State’s Landry Shamet is a 6-foot-5-inch option. Shamet -who ran the show for the Shockers- averaged 14 points and five assists per game in 2017-18. Free agents Zach LaVine and David Nwaba both averaged more than 23 minutes per game. LaVine appeared in 24 games while Nwaba saw action in 70 contests. The Bulls added Dwyane Wade two years ago but look for them to stick with their youth movement and either re-sign Nwaba or LaVine. Another option is to give former Michigan State guard Denzel Valentine more minutes. Paul Zipser is the only true small forward under contract for next season. Chicago has a lot of forwards, centers and guards under contract but the Bulls could use more athleticism. Big men Lauri Markkanen, Cristiano Felicio and Robin Lopez can be picked on in pick and roll situations defensively. Texas’ Mo Bamba should be available at the seventh pick and has elite defensive tools to contribute immediately. With the Bulls, Bamba would have time to develop his offensive game as he plays alongside scoring big men like Bobby Portis and Markkanen. Out of the 16 playoff teams, Milwaukee finished 13th in three pointers made per game last postseason. That number could drop with shooters Jabari Parker, Jason Terry and Shabazz Muhammad set to enter free agency. Milwaukee has limited cap space and its core is already under contract for the foreseeable future. The Bucks have the 17th pick in the draft and could look to add another scorer. Maryland’s Kevin Huerter is 6’7” and possesses the height and shooting ability that the Bucks covet (shot 50-percent from the field and 41 percent from three last season). *The 2018-2019 NBA salary cap sits at $101 million and the luxury tax sits at $123 million. Player stats are courtesy of ESPN.com. Financial outlook is courtesy of Spotrac.com.